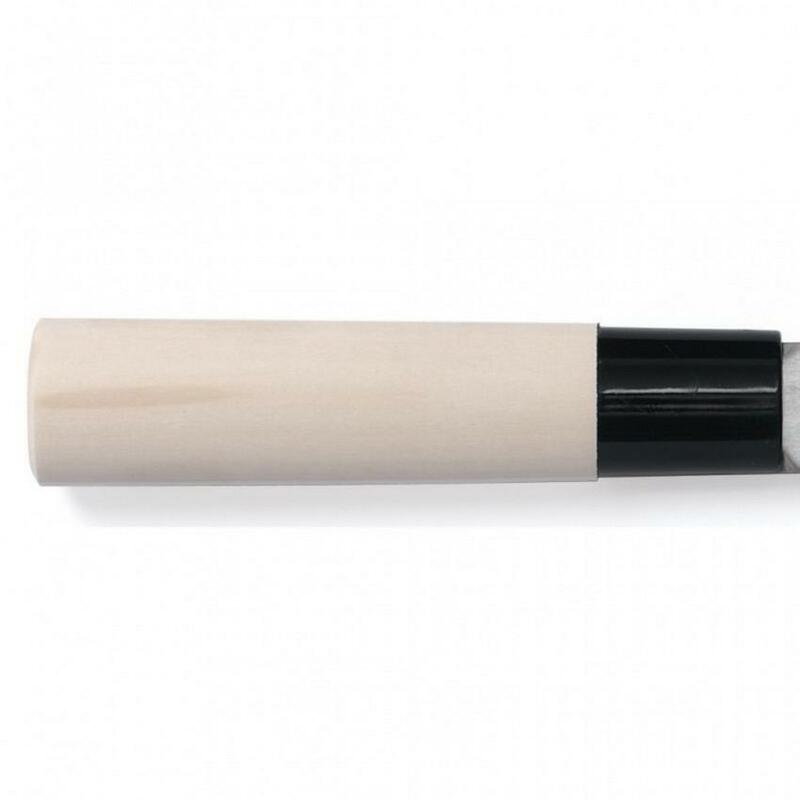 The Haiku Home HH05 Nagiri knife 17.5 is a Japanese vegetable knife and part of the Chroma Haiku Home series. The Haiku Home knives are designed for the occasional cook or with a tight budget in mind. Compared to the Haiku Original series of Japanese handmade professional knives the Haiku Home are machine made and of one-layered stainless steel. When compared to the rest of the Haiku Knives, these blades stay sharp a shorter amount of time and the sharpening takes longer. 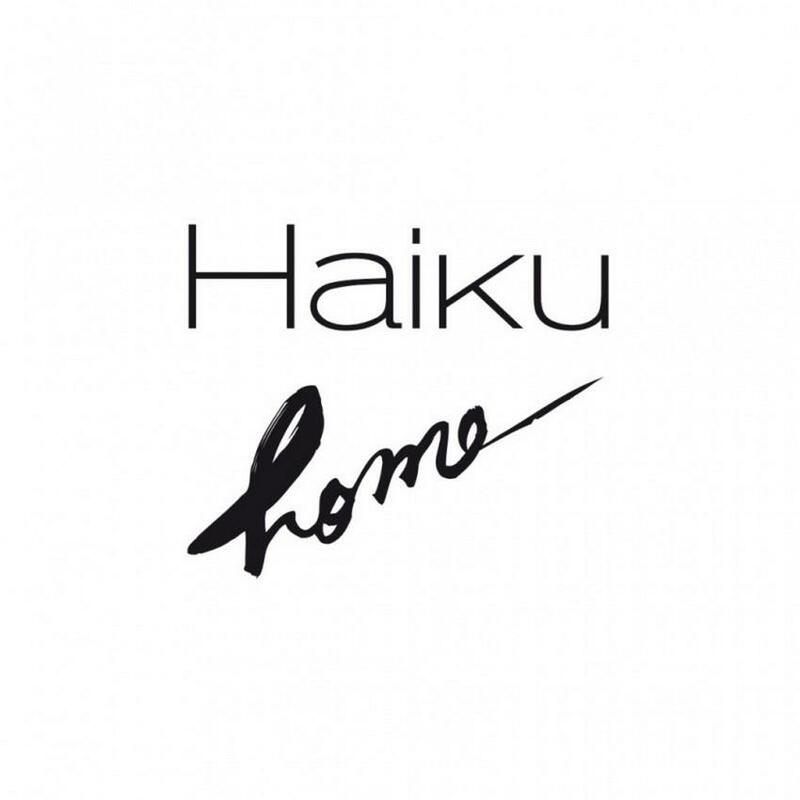 Also, the blade of Haiku home knives is made from a less expensive and thinner material than the rest of the Haiku series (Haiku originals). Even so, the Haiku Home series knives are far better than any other typical kitchen knives lying around in people’s kitchens. 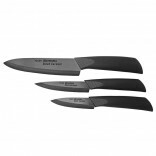 In this way they manage to stay affordable and still differ in quality than most common kitchen knives. 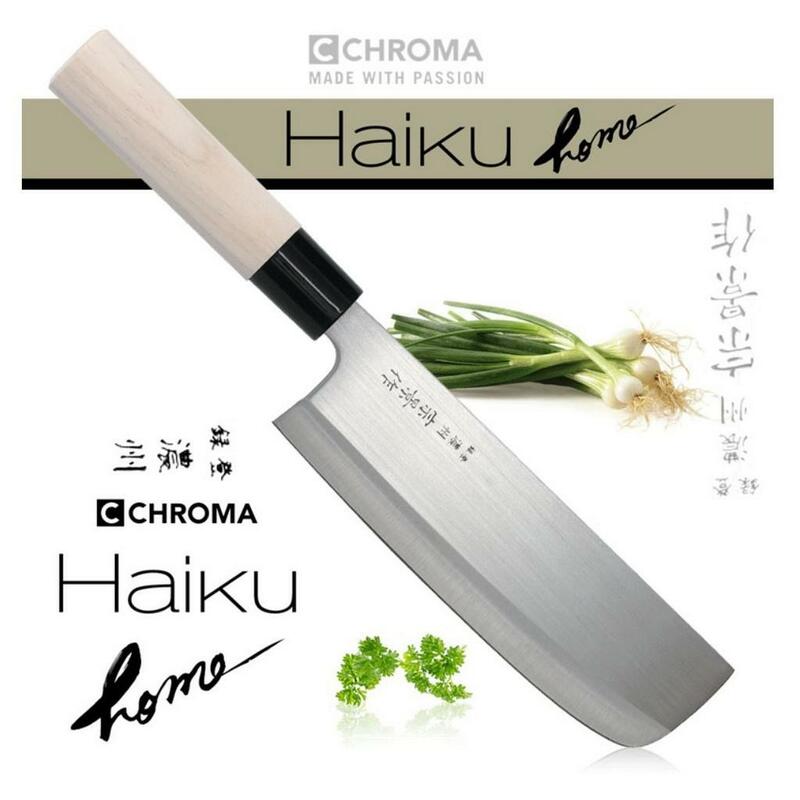 It is Chroma’s best selling knife-line in Japan. 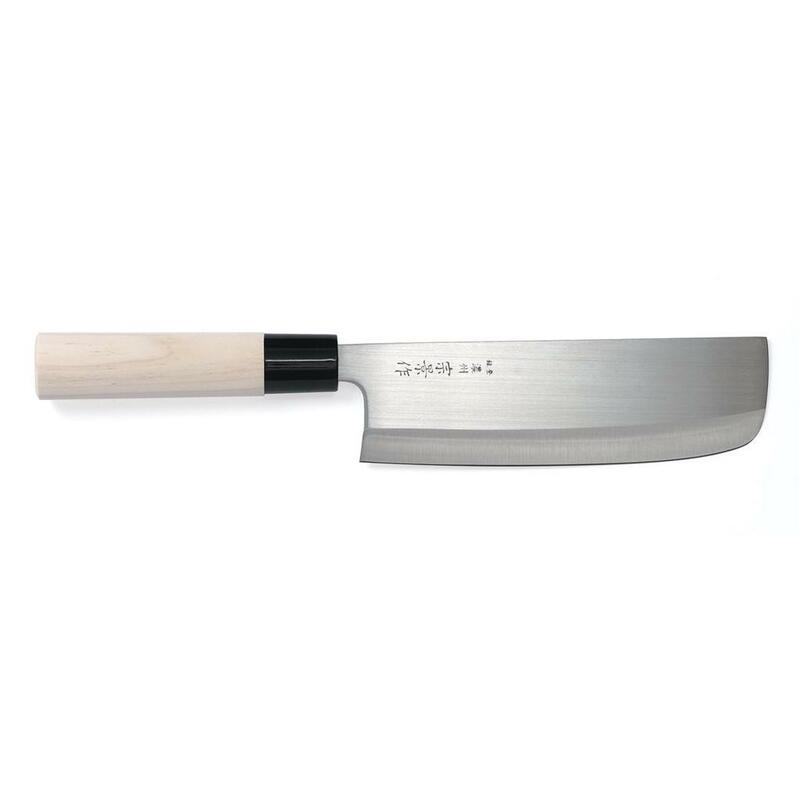 Produced in Seki, central Japan, in one-layered stainless steel, those high quality knives by Chroma are well known for their sharpness. The knives are laying well in the hand and are very sharp. Machine made Nagiri Japanese vegetable knife 17.5 long blade. 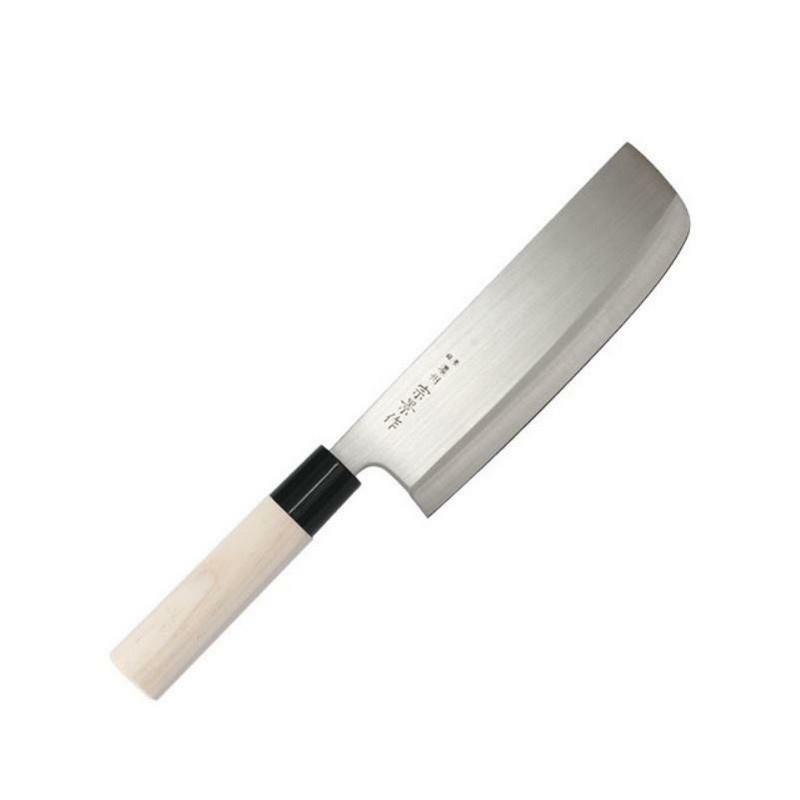 Material: One-layered stainless steel (blade), Honoki wood (handle). 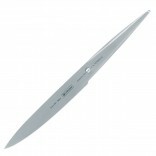 Length: 17.5 cm blade, 12 cm handle.